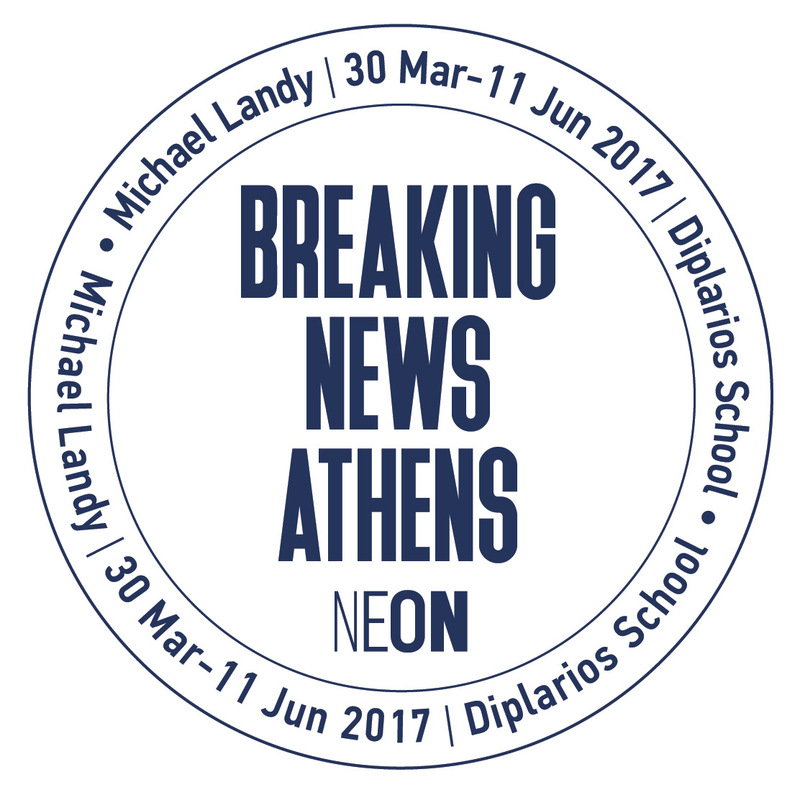 From March 30 until June 11, 2017 acclaimed British artist Michael Landy and NEON Organisation will transform the walls of Diplarios School into a continually evolving exhibition, BREAKING NEWS – ATHENS, built with the participation of the public. Your submission of graphic material can be made on this page from 14th February until 26th May 2017, and should be drawings, text images, adverts, slogans that represent what is like living in the city of Athens. For those who wish to submit hard copy material, this can be done every Friday at the Diplarios School from 12-7pm. Michael Landy will decide which images are developed to become part of BREAKING NEWS – ATHENS. Please note the maximum size of your photo should be 2.5 MB in jpeg, jpg, png format. If your uploaded image has been converted into a printed artwork, you will receive an email and you can collect it after the end of the exhibition, on June 14 – 16 & 19 – 20, 2017, from 12pm to 7pm at the Diplarios School. The deadline for the image submissions is now CLOSED! Thank you for your engagement. Visit the exhibition BREAKING NEWS – ATHENS by Michael Landy until June 11 at the Diplarios School.